Do you wish to setup a WordPress Multisite? Multisite is a powerful feature of WordPress that can be used by all the websites. It allows you to turn your site into a network of websites. In this article, we will talk about the benefits and drawback of using Multisite and how you can setup a Multisite network. Previously, the WordPress Multisite was a different version of the WordPress, known as WordPress MU. However, with the introduction of WordPress 3.0, WordPress MU was combined with the standard WordPress. Now, it is a mode, WordPress Multisite that can be switched on and off. Furthermore, the Multisite installation is the same as the standard installation. It has the same core files, folder structure, and code base. This means the Multisite network is not difficult to manage. It is similar to a standard WordPress site and updating is also similar. All the themes and plugins will be saved once, irrespective of how many sites you use. The WordPress Multisite is now a mode in the WordPress. You will have to install and setup the WordPress. After the installation, you enable the WordPress Multisite feature. You can enable the Multisite on any existing WordPress site. It is better to have a backup for your site before enabling the Multisite. For enabling the Multisite, you will have to connect to your site through FTP client. After that, you must open the wp-config.php file. 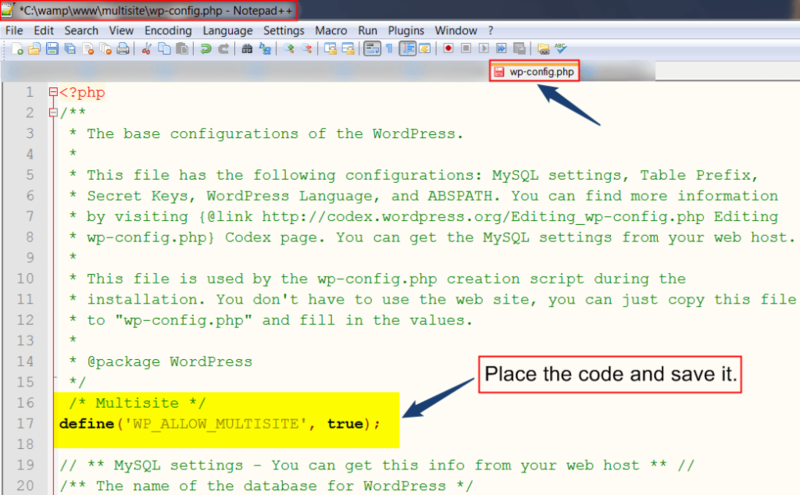 Then, you need to add this code to your wp-config.php file, /*Multisite */. Next, save your file and upload to the server. As a result, this will enable the multisite on your WordPress sites. After this, you will have to step up the Multisite. Now, it is time to set up your network. You will have to deactivate all your plugins from the WordPress site. For this, you must go to Plugins, Installed Plugins page and choose all the plugins. You can choose to deactivate from the Bulk Actions, drop down menu. By clicking on the apply button, complete the process. Then you must go to Tools, Network Setup to setup Multisite network. On this screen, you will see you need Apache’s mod_rewrite module installed. 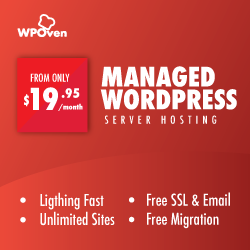 This is installed and enabled on all the web hosting providers. Afterward, you need to decide what type of domain structure you will use for sites. You can choose from subdomains or sub-directories. Next, you must give the title to your network and make sure the email address you entered in the Network admin is right. Click on the Install button to proceed further. At this point, WordPress will show a list of codes that you are required to your wp-config.php and .htaccess file. Then, you can use the FTP client to copy and paste the code in these 2 files. You will need to login to your WordPress site. Now, you must configure the network settings. You will have to go to Network Dashboard for changing the network settings. You can even add new sites and change other settings. Go to My Sites, a drop down menu will appear. Go to Network Admin, Dashboard. Here you will notice some new things that allow you manage your Multisite. You will see a dashboard that enables you to create new sites. First, you have to set the title of your site, then enter the email address of admin. In the Registration setting, by default the user and site registration are disabled. You can open your site for user registration and create new sites. If you wish to open your multisite network to registration, you can check the box next to Registration Notification. If you want to enable individual site administrators to add new users, you must check the box Add New Users. The setup process is very simple and easy that allows you to create WordPress Multisite within minutes. 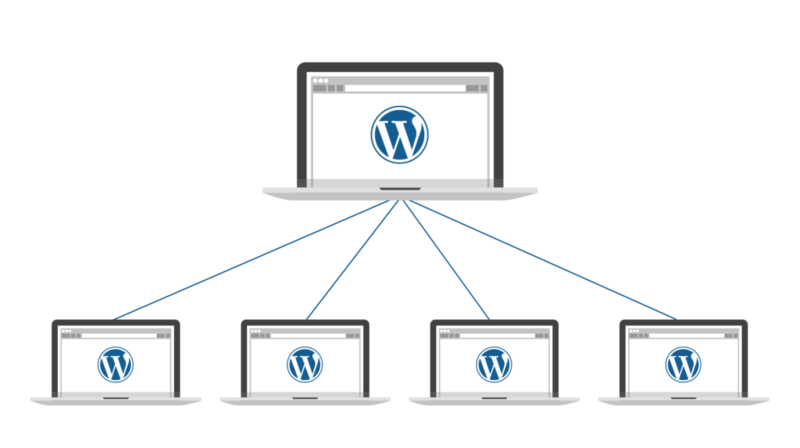 WordPress Multisite is essential for an organization that has a hierarchical structure. It is best for sites that operate independently within their own area and share common resources. The Multisite has both advantages and disadvantages. The Multisite enables you to easily manage a huge number of sites through a single dashboard. Every site can have its own admin and each admin will be able to manage their own site only. You will have to install the plugin and themes just once. Then, you will be able to use it across your network. For updates, you will have an update once and it can be activated through the whole network. It is better to manage and you can use the space more efficiently. It allows you to earn money by providing hosting services to others through the Multisite network. In case you are offering hosting service, you might have little difficulty. This is because the blogs will have their own tables within the database. They will have not directories on your server. They will have separate directories for media uploads. The file structure is handled by the WordPress, you won’t have to worry about it. You can create your own blogs and manage them on the network. It enables you to restrict the access to users if you want to. On a Multisite, not all plugin works. You can check before installation of the plugin whether it is compatible with Multisite or not. In case your network is down at the moment, it will impact all the sites of that network. No site can add or delete any themes or plugin, they can simply deactivate and activate. An increase in the traffic on any site will affect all the sites on the network. If your website gets hacked, it means that all sites on your network will be hacked. Therefore, having Multisite is very useful as you can manage various sites without any trouble. What are your views on the WordPress Multisite? Let us know in the comments below.